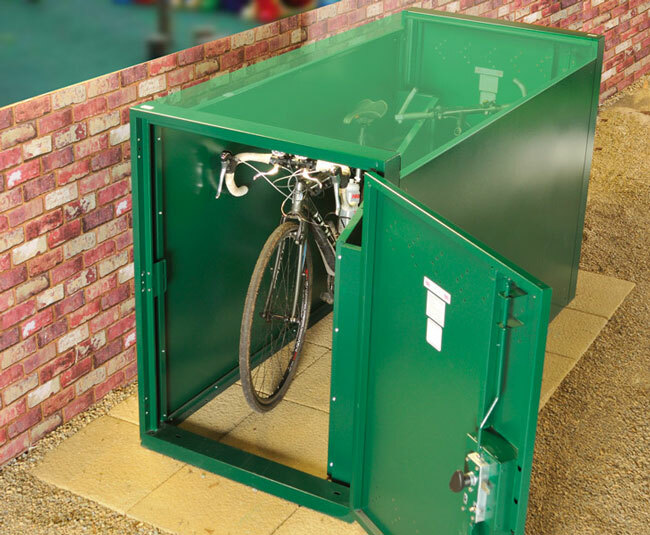 The Double Ended Bike Locker is the perfect way of storing two bikes securely in a discreet manner. 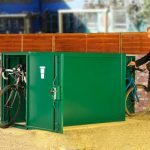 Designed as a space saving bike storage unit, our Double Ended Bike Locker is ideal for areas where space is restricted but bike security is important. 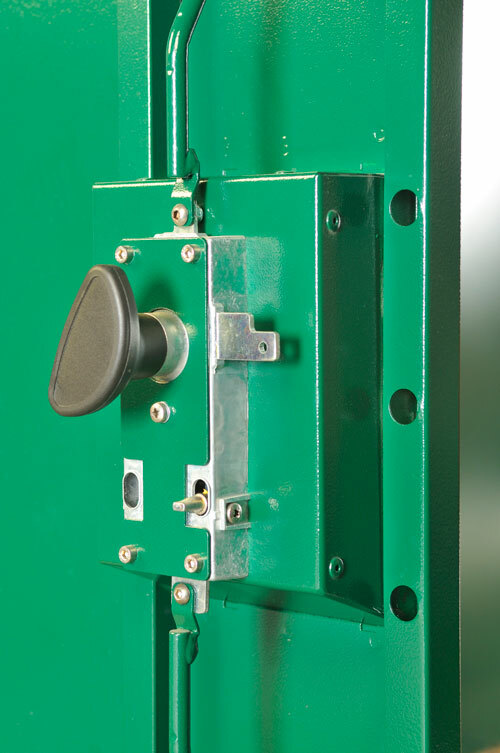 This design allows access from both ends with secure locks on both doors. The inside of the bike locker is divided diagonally creating two separate spaces for the two bicycles. The dividing panel allows each bike to be locked securely. 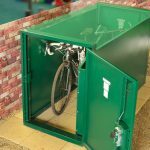 As with all our high quality British made products the Double Ended Bike Locker is made from strong, thick, galvanised (weather proof) steel. Lead time: Up to 7 weeks. Postage: This locker comes flat packed for home assembly. If you would like to find out the cost of shipping a product, you can calculate the accurate cost by simulating the checkout process and entering your postcode. Please contact us for information on delivery outside of the UK. 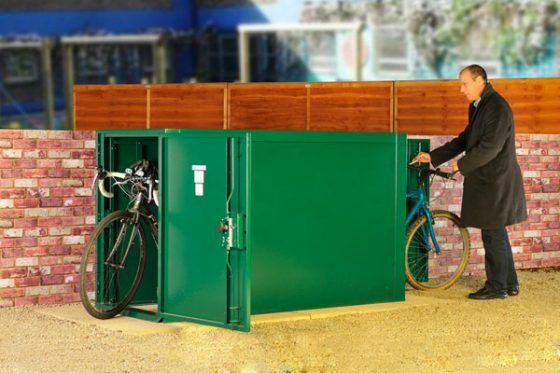 Space-saving cycle locker stores 2 bicycles. Internal partition allows for independent access to each bicycle. 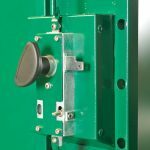 Secure 3-point locking door at both ends. Internal locking anchors and cables optional. Fixes to the ground with bolts. Available in green, ivory or brown. Available in right-handed version only. Before installation can take place a level, firm surface will be required (e.g. concrete, tarmac, patio 50mm/2″ thick). The base must be solid, completely flat and secure. This product does not have an integral metal floor – it is bolted down directly to the ground.